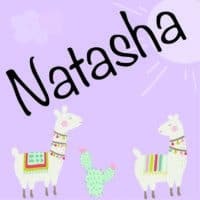 I’m not a ‘good sleeper’ (unlike my husband who is a sleeping machine!). 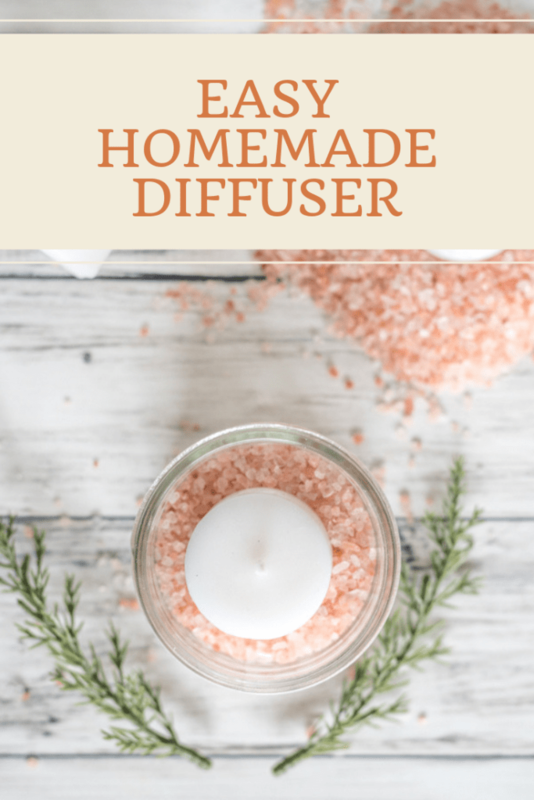 I discovered a while ago that the combination of lavender and frankincense essential oils helps me settle down and get to sleep so I used to diffuse them almost every night. Unfortunately, my diffuser broke recently (womp-womp) and all the outlets in our room are full right now, anyway so we can play soothing background music to help block out ambient noise for LG. Just in case you’re curious, Hypnobabies I used. I really, really enjoyed the add-on “Peaceful Sleep Now for Expectant Mothers” track and continue to use the “Peaceful Sleep for All” track, but just the background music is much better for looping all night. There is also an extended version of the track available on Spotify if you’re looking for some relaxing background music. But enough of that, let’s get to the pillow mist recipe! If you don’t have frankincense, chamomile is a nice, soothing oil to use, instead. You can cut the oil concentration in half for a more dilute mixture, if you’d prefer. I don’t apply this directly to my skin, but if you do, you might want to lower the concentration if you use it every day. Alright, are you ready for the easiest tutorial ever? 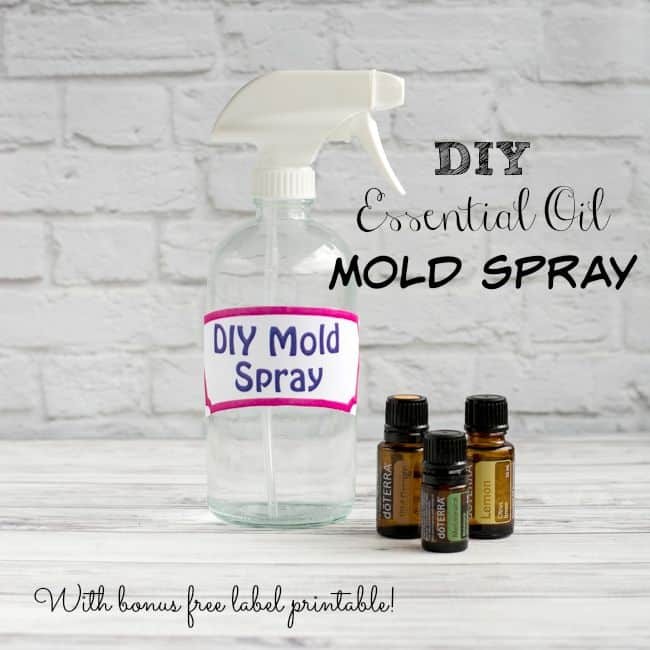 Carefully pour one tablespoon of witch hazel into your spritz bottle. Add the essential oils. This can be done using a pipette or dropper, if you find that easier. Fill with distilled or freshly boiled & then cooled water. Spritz your pillow before bedtime and enjoy as the soothing scents help you drift to sleep. Shake gently to combine before use. I don’t have any label paper so I used a couple of pieces of wash tape and a marker to make a cute little label! I also have some permanent India ink spray in similar bottles (from this project here) so I don’t want to mix them up. And there you have it! 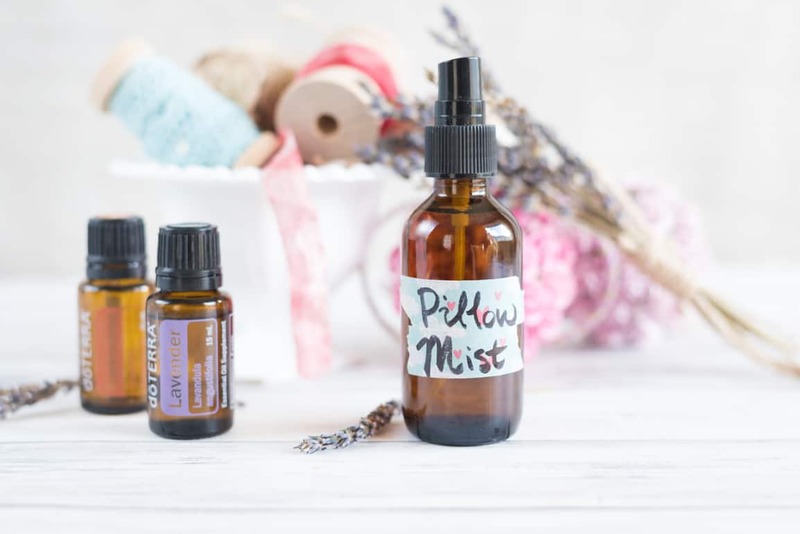 A sweet smelling, super easy lavender frankincense pillow mist recipe to help you drift off to dreamland in delicious style. Like all that alliteration? 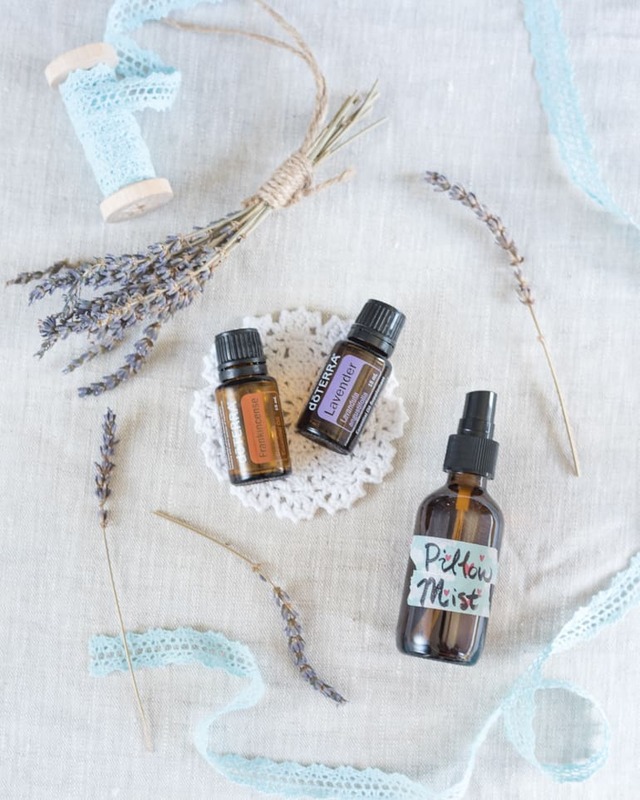 If you like essential oils, you’ll love these tutorials, too! Do you use a pillow mist? 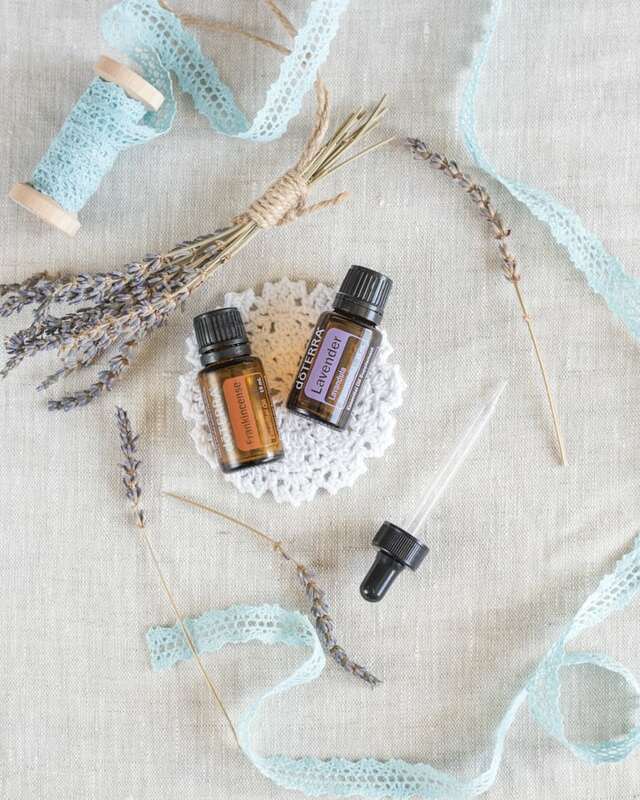 What’s your favorite essential oil scent combination for nighttime? I have had trouble sleeping lately and use all sorts of things! I have a pillow mist I bought from Avon, Bach rescue remedy drops, a lavender roll on for my wrists and temples plus the essential oil diffuser! I also have crystals by my bed that are good for promoting a good night’s sleep, plus some that were recommended for me by a crystal healer. My sleep is better after all of that! I’ve heard a lot of people mention the Rescue Remedy drops – I really need to track some down and try them! I have to layer on all the help I can get to sleep well. I’m really glad to know I’m not the only one – my mom and husband seem capable of simply closing their eyes and falling to sleep instantly.